By default all email notifications that are sent to your clients come from the Paymo email server. 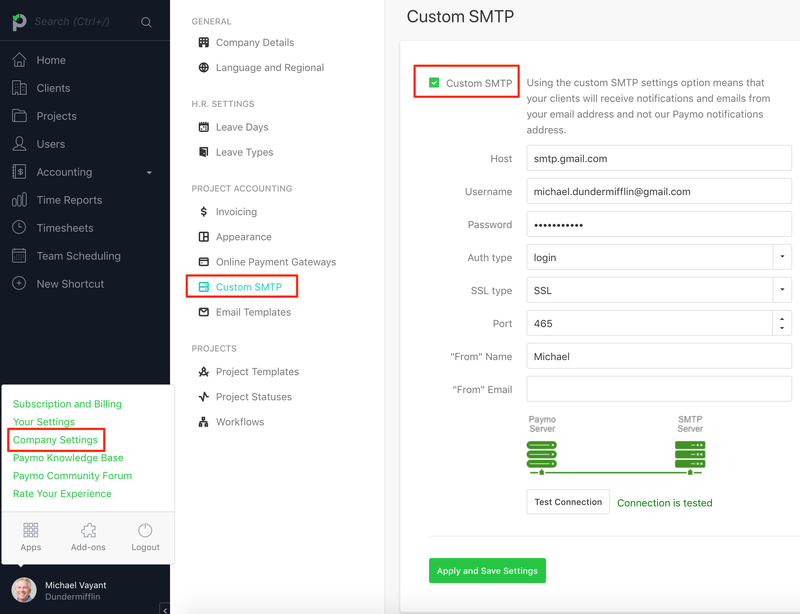 With the custom SMTP setting you allow the system to send emails through your own email server, which means that it will look like it came from you. Once the STMP server has been set up you have the ability to test if Paymo can connect and send emails through your server. If the connection is tested all email notifications that will reach your clients will go through your email account. Note: If you're using 2 step authentication, make sure to set an app password.